Each Giottos head has been carefully designed to work with a specific tripod. They are engineered to position the camera precisely in the required shooting position with a minimum of fuss for optimum results. 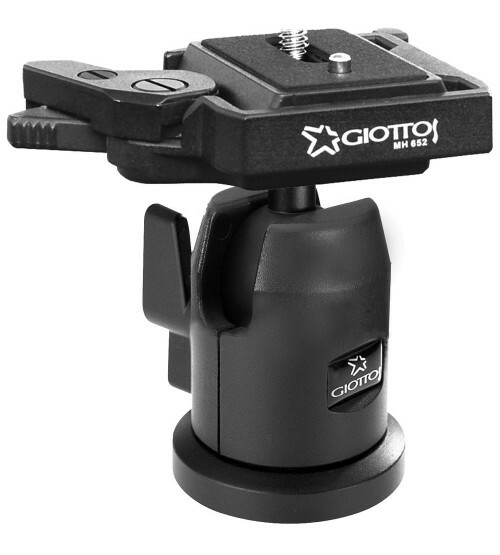 The heavily anodized aluminum ball lets you make camera positioning adjustments more smoothly than ever before by eliminating all vibration and skipping so you can frame the perfect photograph the first time without wasting precious seconds on micro corrections. Add ergonomic design and advanced precision engineering to guarantee high performance locking and your camera is not only quickly adjusted but also rapidly and securely locked where you want it.